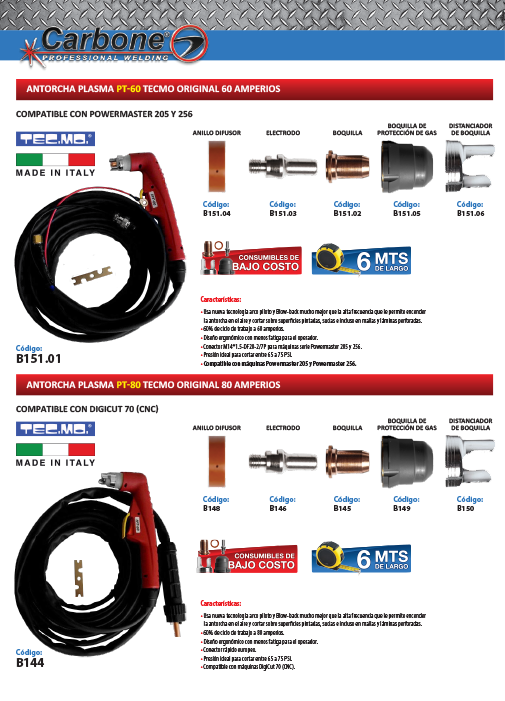 Carbone presents its plasma welding machine with accessories. Such as plasma torch Tecmo PT-80 Original of 80 amps, PT -60 Tecmo original plasma torch of 60 amps with ergonomical designed, featuring less operator fatigue. M14*1.5-DF20-2/7P connector for power master 205 and 156 machines. Presents ideal pressure for cutting between 65 to 75 PSI and it is compatible with power master 205 and 256 machines. PT-25 25c Original Tecmo plasma torch of 25 amps, PT-60 Original Tecmo plasma torch of 60 amps, IPT-80 Original Tecmo plasma torch straight to CNC capacity of 80 amps, professional air filter for plasma cutters, economical air filter, and plasma torch PT-25c Original Tecmo for 25 amps. The machine uses new arc pilot technology and blow-back that is much better than the high frequency that allows you to light the torch in the air and cut on painted, dirty surfaces, mesh and perforated sheets. 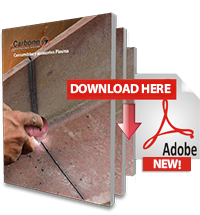 Carbone presents its new line of machines and all accessories for Plasma machines. We offer a variety of machines with various regulations and to perform any work you need.